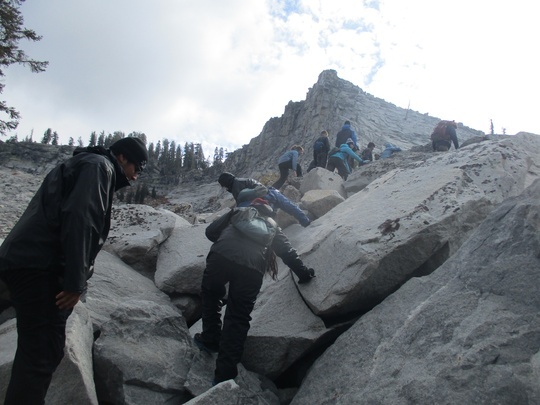 On day one, the students arrived to Yosemite and enjoyed the sites of the massive cliffs and the fresh air by the river in the evening. Some students were even able to see the SpaceX launch, which looked like an alien invasion may be happening among the granite walls of Yosemite. Monday morning began with a big breakfast, name games with NatureBridge educators, and an eye-opening interaction with Shelton Johnson, an inspiring park ranger in Yosemite. After hearing Shelton’s stories, the group spent the rest of the day preparing mentally and physically for the trip by setting goals, packing backpacks, and learning some outdoor skills. On Tuesday, they headed up the Glacier Point Road to the Ostrander Lake Trailhead where they would enter the wilderness to stay for the next four days. After over six difficult miles, they finally arrived at Ostrander Lake, feeling both accomplished and exhausted. 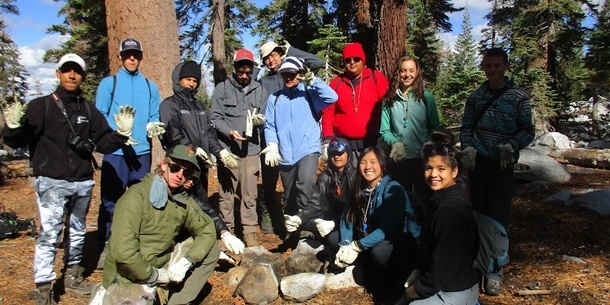 The next day, Ranger Adam facilitated a stewardship project that involved cleaning up or removing fire rings at the campsites near the lake. 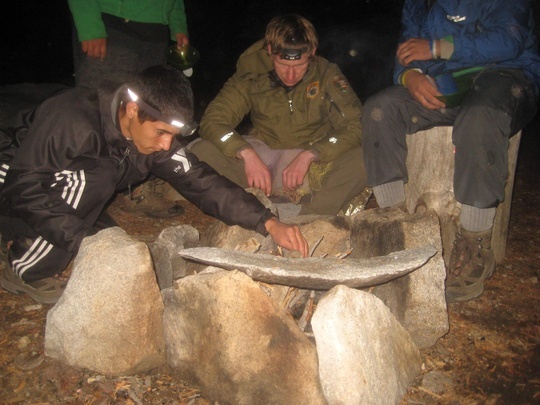 The students were able to understand the balance between humans and wilderness - campfire rings could exist as long as they weren't ridiculously huge or in bad places. They were lucky enough to hear another inspiring story from Adam before he left that afternoon. The second half of the day consisted of relaxation, games, reflective journaling, and cooking some yummy backcountry food. Thursday was the day of the challenge hike - the group prepared to head out on an epic rock scrambling adventure up to Horse Ridge. Students and leaders stepped up to the challenge that the adventure presented, and supported each other on the way up. 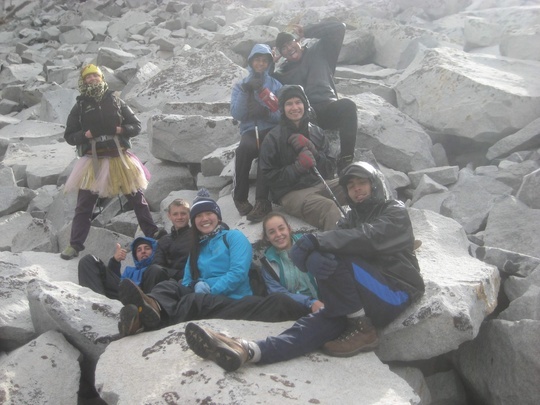 When the group finally arrived at the top of the ridge, a celebration ensued complete with tutus, crowns, and human pyramids. 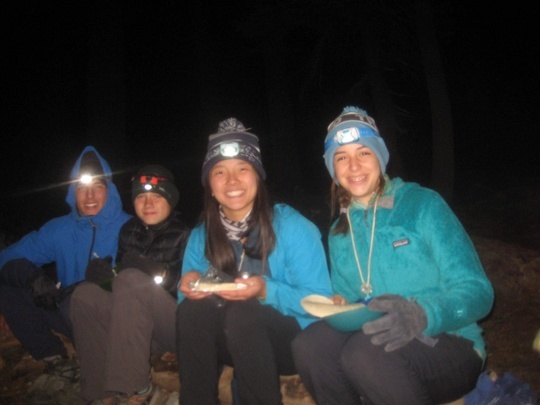 After heading down, the group enjoyed much needed dinner and sleep before an early wake up the next morning. 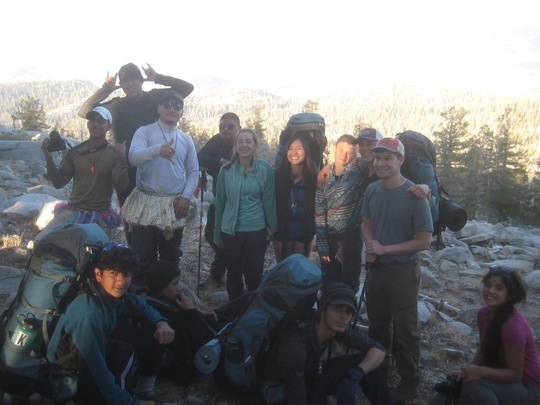 Despite the outrageously early morning, students hiked another six miles out of the wilderness, motivated by the thought of showers and home cooked meals. When they finally made their way back to the trailhead, their teacher’s were there to greet them with smiles and the promise of Happy Burger on the way back. Students said their goodbyes to Yosemite and their educators, and reflected on all of the things they learned and accomplished on their trip. All smiles for dinner time!